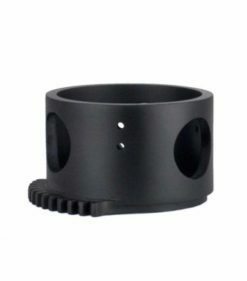 Gear sleeves are designed to fit around your lens in order to engage with the zoom control pre-installed on our water housings. Usually each lens has its own gear sleeve, but it might also happen one gear sleeve model can fit several lenses. It will depends on the physical dimensions of the lens.